Boops the snoots of @Tacodidra @Twilight Luna @PoisonClaw @Rikifive @Phosphor @Lord Valtasar @Lord Midnight Madness @Arc Flash @Dawnchaser @Mellow Mane @lyrabetes3939 @Partialgeek514 @Fluttershy Friend @Luna's Admirer @CosmicSpark @oregon @R.D.Dash @Rising Dusk @BladeShield @Randimaxis @PathfinderCS @Bakugou Is My Man <3 @TBD @TheTaZe @Sondash Studios @Dynamo Pad @BornAgainBrony @EpicEnergy @Alexshy @The Recherche @Deae Rising Shine~ @Mirage @A.V. @Treeglow Flicker @Tropical Melody and @Cash In Also boops Queen Chrysalis! *Boops* @Sparklefan1234, @Mirage, @Gone Airbourne, @Flutterstep, @SolarFlare13, @Phosphor, @The Recherche, @Gabosor, @Lucky Bolt, @Tacodidra, @Snow le Canard, @Scarlett ChB, @R.D.Dash, @Rikifive, @TBD, @Mesme Rize, @Alexshy, @DashYoshi, @Wannabrony, @Leere, @Prospekt, @Duality, @Soren Peregrine, @Johnny1226, @Dark Qiviut, @ShinGojira, @TheRockARooster, @shyabetes3939, @Rising Dusk, @Phosphor, @Cash In, @PoisonClaw. @.Wolfe. and @Jonny Music. Hello everypony, I hope that you're all having a wonderful start to the week. I just checked my calendar this morning to realise that I was five days behind where I should have been. The fact that it's April already is absolutely discombobulating, but at least the days are getting longer, and I no longer have to have my morning shower in semi-darkness. Anyhow, let's all be sure to have an excellent week everypony! Let's kick the month off with a booptastic commemoration! *Boops* @Sparklefan1234, @Mirage, @Gone Airbourne, @Flutterstep, @SolarFlare13, @Phosphor, @The Recherche, @Gabosor, @Lucky Bolt, @Tacodidra, @Snow le Canard, @Scarlett ChB, @R.D.Dash, @Rikifive, @TBD, @Mesme Rize, @Alexshy, @DashYoshi, @Wannabrony, @Leere, @Prospekt, @Duality, @Soren Peregrine, @Johnny1226, @Dark Qiviut, @ShinGojira, @TheRockARooster, @shyabetes3939, @Rising Dusk, @Phosphor, @Cash In, @PoisonClaw. @.Wolfe. and @Jonny Music. Greetings and good morning everypony, I hope that you're all having a gorgeous morning! So it's another Thursday, I can't believe that the week is nearing it's conclusion already. It's my half-day which is nice...I don't know, I'm just really bored right now. So, why not? Boops for the lot of you! Why do people look down on people who still live with their parents? I lived with my parents until their death. They always made it clear that it was always my home and that it would always be a roof over my head for myself and my other siblings regardless of circumstances. My time living with them was spent studying and working on my own little projects so that I could march towards self employment. I would also do my part around the house. If my father was working on DIY, I would be on hand to assist. If my mother wanted me to help with some cleaning while she could make time for other things. I did. I was also there when they were inflicted with cancer and I helped care for them until their deaths. It wasn't a choice to live with them, but I loved living with them. I did want my own place and would have gotten my own place. What stopped me? A pair of little twin things called reality and circumstance. The thing I faced was unemployment and the unavailability of SUSTAINABLE employment over the years. Over here in the UK, even to this day, people are moving in with their relatives more and more. People have been forced to sleep out in tents (if they're lucky to have one) in some areas of the country. Some of those people in those tents are attacked by social filth who clearly have no concept on what it's like to go face to face with the crueler side of reality. I've got no time for those who look down on those living with parents and family. It's an honor to have good family who care. If I ever end up with children? My home will always be there home, for them and for whatever family they make for themselves. Look down on them and you answer to me and the family. *Boops* @Sparklefan1234, @Mirage, @Gone Airbourne, @Flutterstep, @SolarFlare13, @Phosphor, @The Recherche, @Gabosor, @Lucky Bolt, @Tacodidra, @Snow le Canard, @Scarlett ChB, @R.D.Dash, @Rikifive, @TBD, @Mesme Rize, @Alexshy, @DashYoshi, @Wannabrony, @Leere, @Prospekt, @Duality, @Soren Peregrine, @Johnny1226, @Dark Qiviut, @ShinGojira, @TheRockARooster, @shyabetes3939, @Rising Dusk, @Phosphor, @Cash In, @PoisonClaw. @.Wolfe., @ShadowGlider, @Aqua shine and @Jonny Music. Well, it's Tuesday morning and I'm bored as sin. So excuse me everypony, while I attempt to dispel of my boredom through the power of boops. *Boops* @Sparklefan1234, @Mirage, @Gone Airbourne, @Flutterstep, @SolarFlare13, @Phosphor, @The Recherche, @Gabosor, @Lucky Bolt, @Tacodidra, @Snow le Canard, @Scarlett ChB, @R.D.Dash, @Rikifive, @TBD, @Mesme Rize, @Alexshy, @DashYoshi, @Wannabrony, @Leere, @Prospekt, @Duality, @Soren Peregrine, @Johnny1226, @Dark Qiviut, @ShinGojira, @TheRockARooster, @shyabetes3939, @Rising Dusk, @Phosphor, @Cash In, @PoisonClaw. @.Wolfe. and @Jonny Music. Hello everypony, I hope that you are all having a sensational Friday! It's that time again everypony. Time for us tired, labouring folk to hang up our suits on our walls, run ourselves a nice hot bath, eat some dinner and catch an early night, ready to begin those illustrious two days off. How about we get our 48-hour nirvana enrolled with some boops? I don't live in USA or any north country. Big and warm hugs/cuddles for @Tacodidra @Twilight Luna @PoisonClaw @Rikifive @Phosphor @CosmicSpark @Mirage @Lord Valtasar @Lord Midnight Madness @Treeglow Flicker @Mellow Mane @lyrabetes3939 @Partialgeek514 @Deae Rising Shine~ @Dawnchaser @oregon @Arc Flash @Dynamo Pad @TheTaZe @BornAgainBrony @R.D.Dash @Sondash Studios @TBD @Rising Dusk @Tropical Melody @Cash In @BladeShield and @Luna's Admirer And the biggest hugs to @Princess Celestia and @Princess Luna Thank you all for being my friends! You have no idea how much I appreciate your support and kindness. Thank you again to all my friends and to the entire forums! Not only butterflies and birds..... You will catch the cold Fluttershy! If I was there I would take only that yellow pirate pony! She is the most precious treasure! Who can say no to that face? It's just not possible. Because the show creators have other plans. Their leaked notes detail their reasons for ending the show extensively actually. Anthro Fluttershy.Looks absolutely beautiful! Cute Fluttershy plushies. Fluttershy feeding Scoota chickens. https://www.deviantart.com/dvixie/art/Fluttershy-s-New-Friend-554469779 She seems to be thinking about something. I wonder what. This was the perfect way to begin the season. It's the perfect blend of funny, dark, serious, and crowd-pleasing. So here we are at the premiere of the final season of My Little Pony Friendship Is Magic. It certainly has been quite the journey getting here. I know that I am going to miss the show when it ends, but I was also excited to see how the final season was going to turn out. When given previews and synopsis for the premiere, I was rather interested in seeing what this episode had to offer. After watching The Beginning of the End I have to say that it was a pretty solid season premiere. 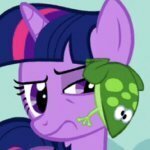 I enjoyed how by now Spike and the mane 6 are able to expertly handle Twilight's freakouts as I feel that does a good job at showing how close their friendship has grown over the years. I also really liked the joke where Rainbow Dash said that the princesses have literally almost never helped out. I am also someone who gets a kick out of continuity nods so seeing them in the premiere was pretty nice, and also helped with the tone of this being the final season. I knew that King Sombra was going to return here, and that Grogar was going to appear her, but I was surprised to see Chrysalis and Cozy Glow show up as well. Cozy Glow was great here, and had some pretty funny lines. These episodes did a great job showcasing and celebrating the friendship of the mane 6, and I really did enjoy the conflict of Twilight having to get used to being a new ruler of Equestria. 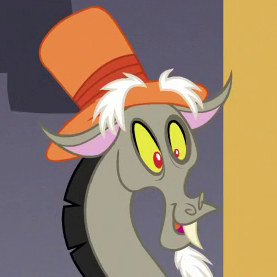 Discord also had a pretty good showing here as an effective trickster mentor, which I appreciated. Overall I really enjoyed this premiere and I am looking forward to see what the rest of the season has to offer. Hey everyone! Here is my drawing of Celestia. I included the sketch and flat colours so you can see the process. Absolutely not. The forums will continue to exist, so no worries about that. What's more, they'll be open for the new generation, just like you can discuss the previous ones now. So there's no reason to go anywhere. My name is Sweet Palette. Though technicality, I'm not new here. Some of you may remember me as Spicy Demon. After a bit of drama and mental decline, I needed some time away to heal and reinvent myself.  Having said that, I'm hoping to return to a clean slate and a new ponysona! You can learn all about HERE here, if you'd like. Sky Scraper and Lyra sure are looking great! Lyra's outfit is her dress from "Life is a Runway". I drew Sky's outfit myself.